Bugatti, a brand that has been well known for making the fastest cars with no compromise on luxury, celebrates its 110th anniversary this year. Founded back in 1909 by Ettore Bugatti, the brand has seen a lot of ups and downs over the last century. Having survived that the car maker now sits at the pinnacle of motoring technology with its engineering marvels – the Chiron and the Veyron. To celebrate 110 years of an obsession with speed and the beautiful absurdity of it, the brand unveiled a special edition of the Chiron. 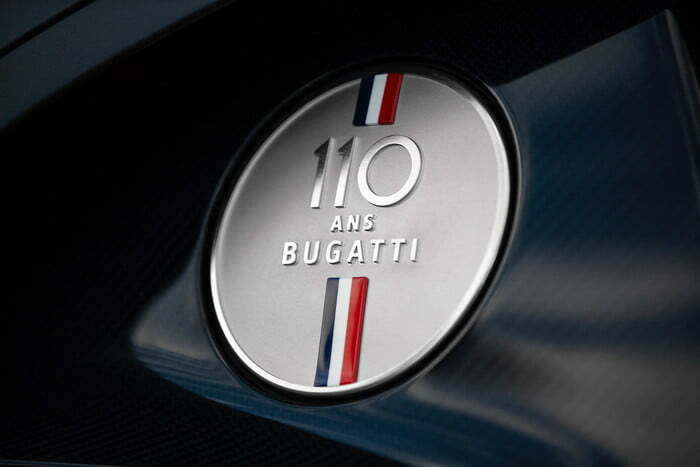 Named the ‘110 ans Bugatti’, French for 110 years of Bugatti, there could not be a better way to mark this occasion. This car pays homage to Mr Bugatti’s homeland, France, with the French Tricolore present on the exterior and interior of the vehicle. Unlike most Chiron models, this special edition does not get a dual tone paint job. The main highlight of this special edition is the new paint scheme it comes with. 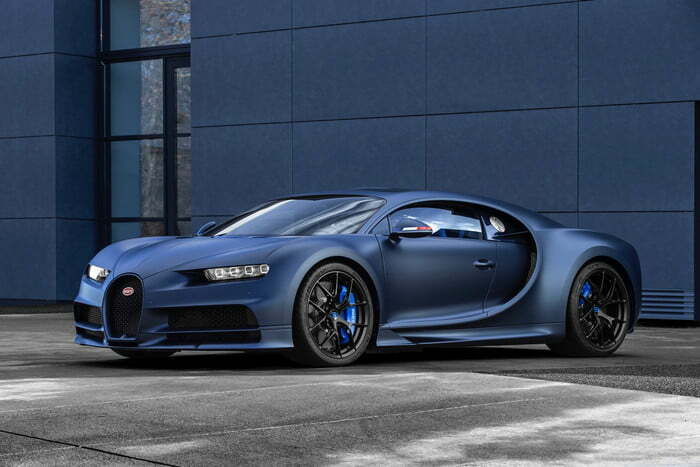 The body is painted in a very unique shade, what Bugatti calls Stell Blue. The gigantic callipers come painted in a classic French Racing blue shade, making them pop out against the darker Steel blue paint. On the exterior, the Tricolore can be seen on the rear view mirrors, where Bugatti has made sure that the blue colour always faces forward. 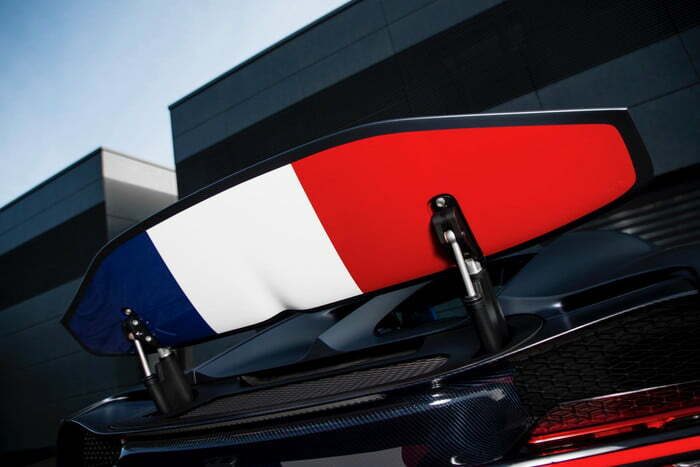 The Tricolore is also present behind the spoiler, which will be unfurled every time the massive air brake is deployed. The wheels on this machine are finished in a matte Nocturne black shade, which matches up with the matte black exhaust system. The massive diffuser at the rear is finished in glossy carbon, matching the Steel Blue shade of the body. The Ettore Bugatti logo has also been given a matte black treatment. The aluminium fuel filler cap also gets the Tricolore and a ‘110 ans Bugatti’ badge. The insides of the ‘110 ans Bugatti’ get a special seat, which is offered with a special pattern. 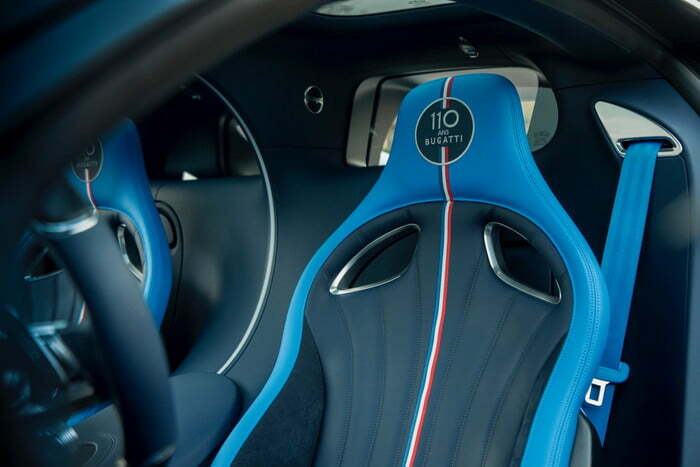 The headrests get a ‘110 ans Bugatti’ branding, with the Tricolore running around the centre. The interior follows a dual tone scheme with French Racing Blue accents present in areas like the stowage compartments, belt trims and contours of the seats. The interior has been treated in abundance with the finest leather, Alcantara and carbon fibre. The newly introduced sky roof option, which comes with two individual glass panels on the roof is also present inside this car. On the mechanical side, the car remains unchanged. It uses the massive, quad-turbocharged, 8-litre W16 engine. This engine is capable of producing 1,500 hp of physics-bending power and 1,600 Nm of twist. The madness is sent to all 4 wheels via a sophisticated all-wheel-drive system and a quick shifting dual clutch gearbox. This translates to a record-breaking top speed of 261 mph or 420 km/h which has to be limited electronically as the tyres would not be able to handle such forces. Below are some images for you to drool.